If any reader is about to commission a bespoke, classically styled tender, you might want to hold fire until you’ve spoken to the geniuses at Ares Design in Modena. The town is famous for exotic Italian car marques such as Ferrari, Maserati, Lamborghini, De Tomaso and Pagani, so you’d be right in thinking that Ares is most closely associated with the automotive sector. 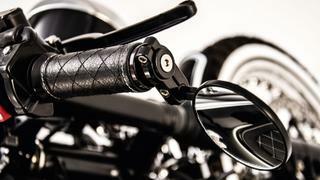 Its speciality is converting old vehicles and creating entirely new ones for wealthy enthusiasts who want a car or motorcycle that is not only beautifully engineered but also utterly unique. 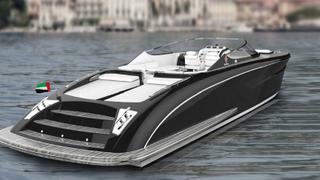 But during a recent visit to Ares Design’s state-of-the-art, 18,500-square-metre design and manufacturing facility, I discovered that plans for a hand-built, 42-knot Riva-style speedboat, fitted with a pair of 750hp engines and costing around €650,000, are well and truly in hand. The original reason for my trip was to become the first person outside the rm to ride the Ares take on BMW’s R nineT retro-look motorcycle. If that was anything to go by, the forthcoming boat promises to be something very special indeed. Ares was co-founded in 2015 by former Lotus CEO Dany Bahar (who took Red Bull into Formula One before moving to Ferrari as commercial vice president) and serial entrepreneur Waleed al Ghafari. Among other things, he founded the $3.3 billion Dubai Pearl real estate project. With a remit to “wage war on mediocrity”, the company has already created the world’s only Bentley Mulsanne coupé, the indomitable-looking Ares X-Raid based on a Mercedes-Benz G63 AMG and a “brand new” 1964 Corvette Stingray built on the chassis of a contemporary C7 model. Ares has also come up with a staggeringly beautiful interpretation of a 1956 Maserati Spider called Project Wami and is currently completing its 21st-century take on the famous De Tomaso Pantera of the 1970s. All Ares vehicles combine the latest mechanicals with hand-built coachwork and interiors made to any specification the customer requires. 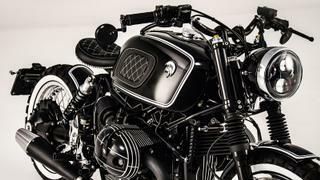 In the case of the BMW R nineT, however, around €50,000 buys one of a strictly limited edition of 25 machines in one of three styles. The fact that the one I tried was among the best-riding, best-finished custom motorcycles I have ever encountered bodes rather well for the boat. And if I’m chosen to be the first outsider to sea trial it, I’ll certainly consider myself honoured.